Prepare your children for their brightest future. 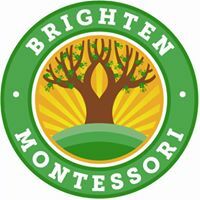 Brighten Montessori is designed to allow children to work harmoniously, solve their own problems, and create a thirst for work and knowledge in a beautifully cared for environment. We believe in giving children the opportunity to explore in a way that sparks their needs and interests in order to develop a love of learning. Using hands on manipulatives, concrete concepts are created as children engage in jobs that support self-correction. We want to nurture the emotional, intellectual, physical, and social development of each child. Our Mission is to promote the development of the “whole child” through activities that focus on cognitive, emotional, social, creative and physical development. We offer a nurturing, educational and fun experience.